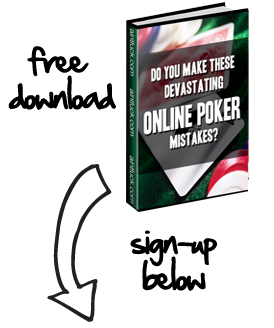 Understanding some of the math behind the cards will help you become a better Omaha Poker player. This page contains some of the regularly used Omaha odds and calculations. Each player receives four hole cards. There are 270,725 possible combinations of ways four cards can be dealt from a 52 card deck. This is calculated as such: for the first card, there are 52 possibilities. For each of the next three cards, there are 51, 50, and 49 possibilities. That would mean there are 52x51x50x49 ways to receive four cards out of 52. Since the order that the cards are dealt does not matter, we can further reduce that number by dividing it by the number of ways four cards can be dealt, which is 24 (4! = 4 “factorial” = 4x3x2x1 = 24). For people familiar with combinatorial mathematics, the answer is C(52,4) = (52!)/((52-4)!)(4!)) = 270,725. Notice that this is much different than Texas Hold’em as there are only 2 hole cards. Here is an article on the differences of Omaha and Hold’em starting hands. The following chart shows the odds and probabilities for improving a hand given a certain number of outs (cards that will improve the player’s hand). The number of outs is determined by the player on the flop. The maximum number of outs is typically 25 (it is only remotely possible to have more), which is achieved by having a 20 out wrap straight draw (JT76 on a 98x flop, for example) with a flush draw as well. Any 5, 6, 7, T, J, or Q will complete the straight (20 outs), and nine cards of the flush suit will complete the flush draw. Four of those flush cards were already counted in the straight draw calculation, so they are not counted twice, leaving nine flush outs and sixteen straight outs, for a total of 25. “Probability” and “Odds” are two ways of expressing the same thing. With one out, it will hit on the turn 2.22% of the time, or roughly once every 45 tries. The chart shows the odds and probabilities for various numbers of outs in Omaha Poker. For example: if the player sees one more card after the flop (turn only), if the player sees both cards after the flop (turn and river), or is currently on the turn and wants to know the odds of catching an out on the river (river only). 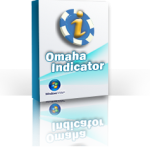 Another excellent way to calculate your poker odds at Omaha, is to use an Omaha Odds Calculator. We found a decent odds calculator at CardPlayer.